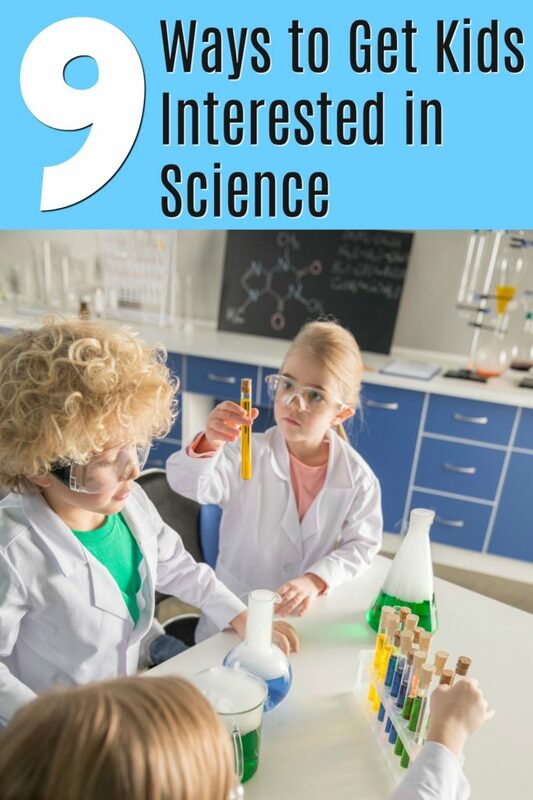 Want your kids to get excited about science activities? From the time they are born, kids are natural scientists. They are constantly exploring and learning about their world. They have a natural curiosity, and there are many ways to encourage them to continue pursuing scientific learning. The more we support their love of learning, the more likely they are to pursue a science-based career. A child's attitude towards education is influenced by their parents' attitude towards it. If education rather than entertainment is made a priority, then the activities you plan together as a family will be based around that. Or better yet – education through entertainment! This is our favorite. Kids study many subjects in school, including science. Parents can help their kids by encouraging science-based activities. Some parents avoid science because they feel they don't know enough about it or didn't do well in their science classes. Instead, treat it like a learning experience for the whole family. Museums are a great place to start. After all, what kid doesn't love dinosaurs? Some natural history museums have a planetarium attached too. It’s a great way to get them interested in exploring the stars. Also, check to see if your museum has a “Night at the Museum” sleepover, which could be a fun activity for the whole family. Math museums are starting to become more popular, offering games, activities and challenges that are so fun most kids will have no idea how much they are learning. Does your kid like to talk about what they want to be when they grow up? Some might say a doctor, a nurse, or even an astronaut. You can remind your kids that a lot of those careers use science. The same is true if they want to be a veterinarian to help sick animals. Focusing on the fact that there are a lot of opportunities if they do well in science can help them feel eager about a future doing something they really love. Now hear me out. I'm not saying go out and buy tons of expensive equipment and toys. However, being intentional about purchasing quality educational toys, games and books they can really learn from can fit into your budget. For example, you can buy them geology sets and chemistry sets when they are old enough to use them safely. There are many nature and science shows available on cable and even on streaming services such as Netflix. Try the Discovery channels, National Geographical channels, and PBS programs like Nature and Nova. Watching a range of science and nature programs that can really inspire children. Nature walks can be fun if you take the time to learn more about the trees, animals and geological information about the area. Learn how to identify different trees and flowers. Pick up leaves, flowers, and sticks for nature art projects and leaf rubbings. Take along some disposable rubber gloves and trash bags and clean up items that should be recycled as you wander along. Their teacher can help by providing copies of what you need to know or pointing you to helpful resources. There are also a number of books available that support subjects like math and science based on grade levels. Have your child do their homework, discuss it with them, and (if it works for your family) then they can complete a page from a supplemental workbook every day. Give your children research projects to do in their spare time so they are not just sitting around watching TV or playing computer games (though those can be quite educational too!). See what their teachers have assigned, or ask them for suggestions. Have them research a favorite animal, create a diorama of its habit, and so on. Don't be afraid to do easy science experiments at home too. Visit the NASA site to learn more about our solar system. Visit zoo sites to learn more about the animals and check out their live cameras to watch the animals in real time. Discuss the issues of captivity, conservation, destruction of habitat, and climate change. By doing these activities, tailored to the age of your kids, you could help encourage a life-long interest in science!